Turmeric helps with inflamation and more. I keep hearing more and more about turmeric and with the benefits for inflammation and arthritis being shown in studies. I just can’t over look all the amazing health benefits of something that is a food easily eaten and added into dishes we make. I am always looking into things that have potential anti inflammatory benefits since that is something many of our clients deal with along with injuries and sports. From my research it seems that the best way to get more turmeric into your diet is approach it from all sides. Take it in capsule form to insure you get some every day. Also include the ground spice in food. Especially soups, stews, meats and vegetables. It has a strong color but mild flavor, it is traditionally used in curry of course. And I just saw it raw at Whole Foods, it looks like orange ginger (also a great anti inflammatory) you can grate it over dishes, add to sauces or salad dressings. Pair it with some ginger and you will have beautiful, tasty and healthy super foods! It is a potent natural anti-inflammatory that works as well as many anti-inflammatory drugs but without the side effects, Dr. Randy J. Horwitz, the medical director of the Arizona Center for Integrative Medicine and an assistant professor of clinical medicine at the University of Arizona College of Medicine in Tucson, wrote a paper for the American Academy of Pain Management in which he discussed the health benefits of turmeric. This research, from Italy, was a three-month trial involving 50 patients diagnosed by x-ray with osteoarthritis of the knee. The Italian team was investigating the effect on arthritis symptoms of a curcumin-based preparation optimized for better absorption. 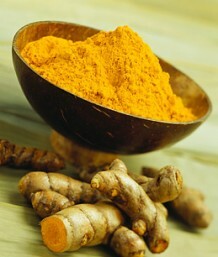 Participating patients took the formulation in addition to standard medical treatment; those in the second group continued following their physicians’ recommendations.After 90 days, the researchers found a 58 percent decrease in overall reported pain and stiffness as well as an improvement in physical functioning among the curcumin group compared to the controls. They also found, via a standardized testing procedure, a 300 percent improvement in the emotional well being of the curcumin patients compared with the others. And blood tests showed a 16-fold decline in C-reactive protein, a marker for inflammation. Patients in the curcumin group were able to reduce their use of non-steroidal anti-inflammatory drugs by 63 percent, compared to the other group. I’m very excited to add more turmeric to my diet. It will inspire me to be more creative in my recipes! 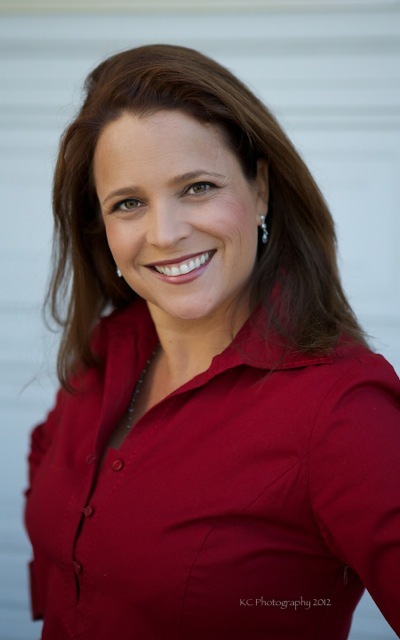 Massage Works Los Gatos offers massage therapy that does just that, it works, to help you get relief from chronic or acute pain as well as stress and strain. Our mission is to help active women and men incorporate massage as part of a healthy lifestyle to live with positive energy and vitality. Our skilled massage therapists help you get relief from problems such as headaches, carpal tunnel, knee pain and sciatica. We all know that getting massage therapy feels good. Many athletes use regular massage to increase their recovery and improve performance. I have seen many good results with clients but a good study is even more proof of the benefits of massage. According to a study published online inScience Translational Medicine by researchers from the Buck Institute for Research on Aging and McMaster University in Hamilton Ontario, massages aid the growth of new mitochondria in skeletal muscle, and help to reduce inflammation. Many athletes would attest to the fact that massages help in treating pain, and speed up recovery, but now scientists have the evidence to go along with their testimonies. The researchers looked at the genetic data of muscle biopsies taken from 11 young men’s quadriceps after strenuous exercise sessions on a stationary bike. One of the 11 men was chosen to have one of his legs massaged. Prior to the massage, biopsies had been taken of both legs, another was taken 10 minutes after the massage, and the third, 2.5 hours later. Melov also said that the reduction of pain due to massages may be closely related to the reduction of pain due to anti-inflammatory medicine. Massage therapy is the 5th most globally used form of alternative medicine – with about 18 million people taking part in massage therapy methods. Although there have been studies that say long-term massage therapy can help with range of motion and chronic pain, the biological benefits of massage for skeletal tissue were previously unclear. This study was funded by the National Sciences and Engineering Research Council of Canada, the Glenn Foundation for Medical Research, and a donation from the Warren Lammert family. Other researchers involved in this study include: Justin D. Crane, Daniel I. Ogborn, Colleen Cupido and Jacqueline M. Bourgeois.